Chief Minister Siddaramaiah has already given in-principle consent to cap cinema tickets. 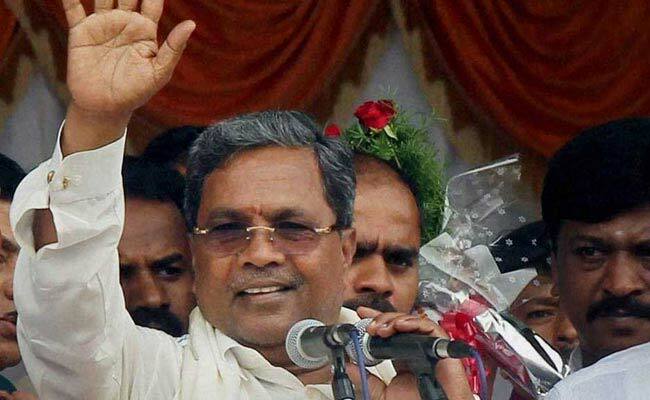 Bengaluru: The Karnataka government is likely to issue, within three days, an order capping multiplex tickets at Rs 200 within three days as Chief Minister Siddaramaiah had proposed in the state Budget. "The Chief Minister has already given in-principle consent to the proposal to cap multiplex tickets," state Principal Secretary, Information and Public Relations, M Lakshminarayana said here on Friday. The delay in issuing the order has triggered a public debate as cinema theatres had started charging whopping prices for the keenly-awaited "Baahubali 2 - The Conclusion", which hit the screens on Thursday night. The Karnataka Film Chamber of Commerce (KFCC), the apex body of Kannada film industry, has been pushing for implementing the proposal after receiving the complaints of multiplexes collecting exorbitant ticket rates. "I expect the government to issue the order on capping multiplex tickets by Tuesday since Saturday and Monday are holidays," said KFCC President Sa Ra Govindu, alleging that the government has been delaying the order by sending the file from one department to another. But Mr Lakshminarayana denied it. "It is not done deliberately, but to seek consent from departments which come under the purview of the subject matter," Mr Lakshminarayana said. The exhibitors are skeptical about the government's move to cap movie ticket prices at Rs 200. Last month, Mukta Arts Managing Director Rahul Puri had said the industry would in all likelihood oppose the move, stating that price capping as a concept was against free market. "The government has not called for suggestions or objections from public to the proposal of capping cinema tickets at Rs 200. Those affected may appeal in the court against the government order," said KV Chandrasekhar, who owns the two-screen Veeresh theatre here and is a former president of the KFCC. The proposal in the 2017-18 budget followed the recommendations by a 14-member committee, headed by filmmaker and Karnataka Chalanachitra Academy Chairman SV Rajendra Singh Babu.